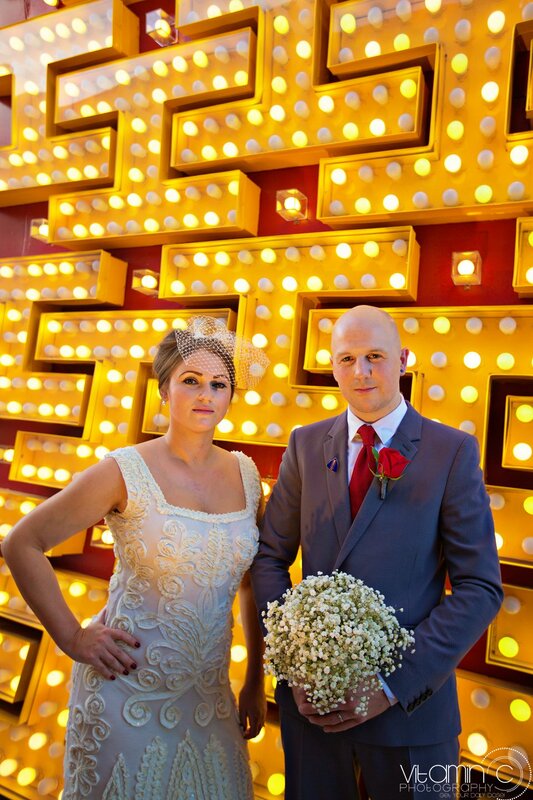 Bringing with them a unique and stylish fashion from across the pond, Jessica and Lee arrived from the UK ready to have a Las Vegas wedding under the neon lights. 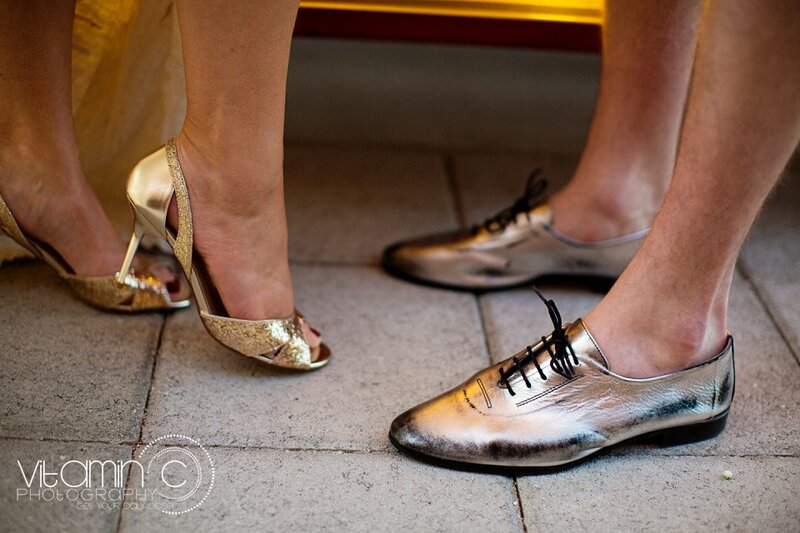 The first thing I noticed when meeting Jessica and Lee was there panache for style. 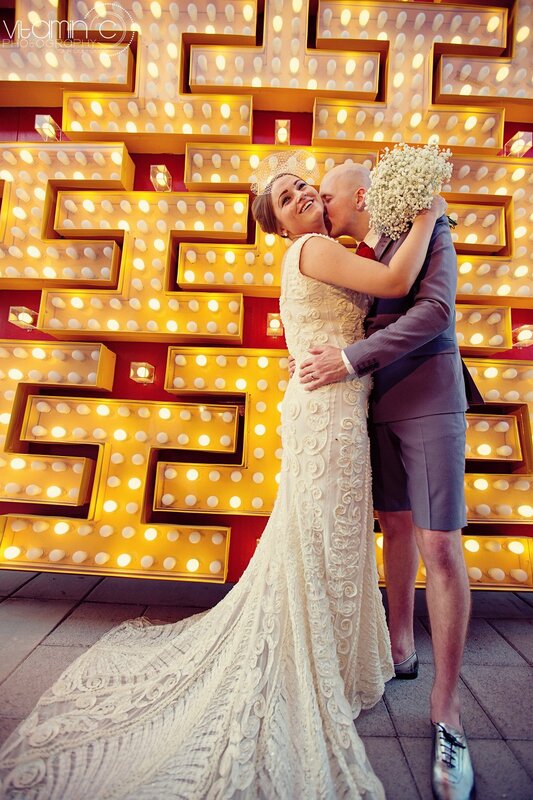 Lee was dressed in one of the most unique suites I have ever seen, light grey sharkskin fabric, crimson red tie, Bermuda shorts and of course silver dress shoes to tie it all together. 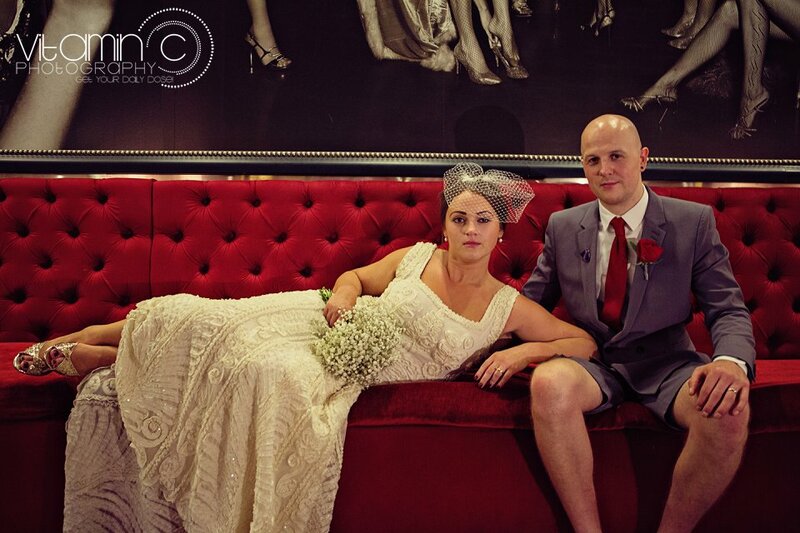 Not to be outdone Jessica adorned a beautifully embellished vintage wedding gown with the matching vintage lace wedding veil. 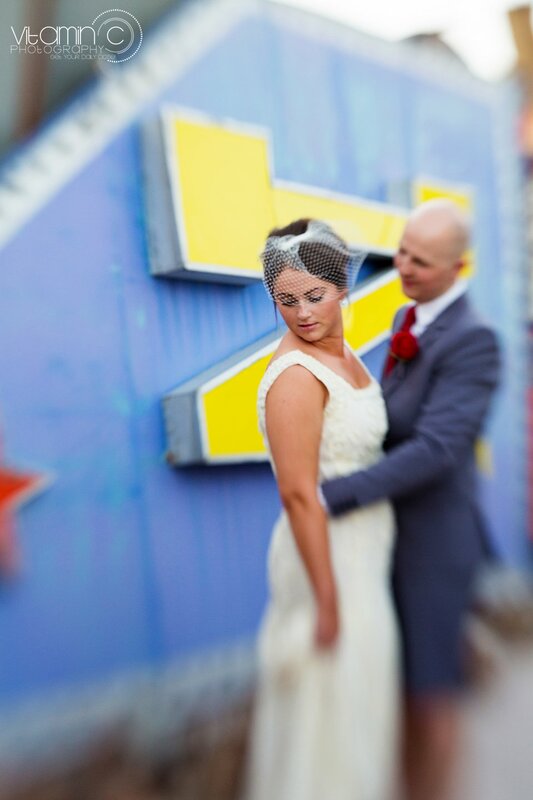 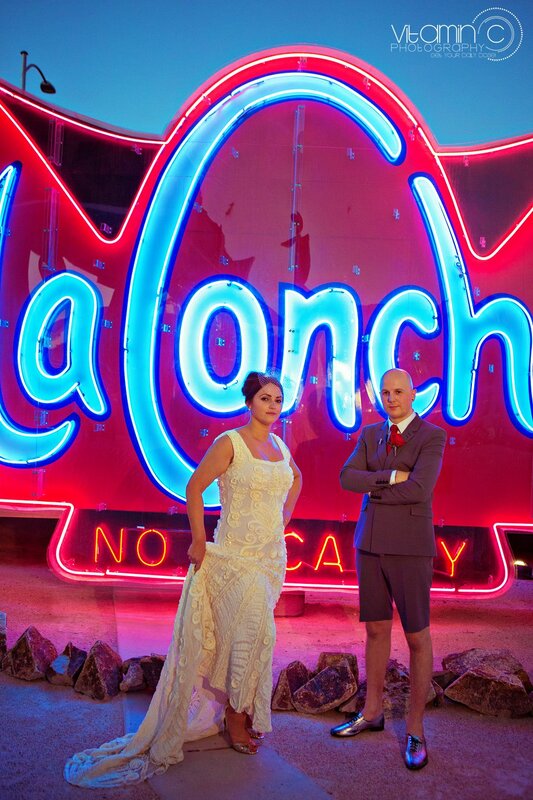 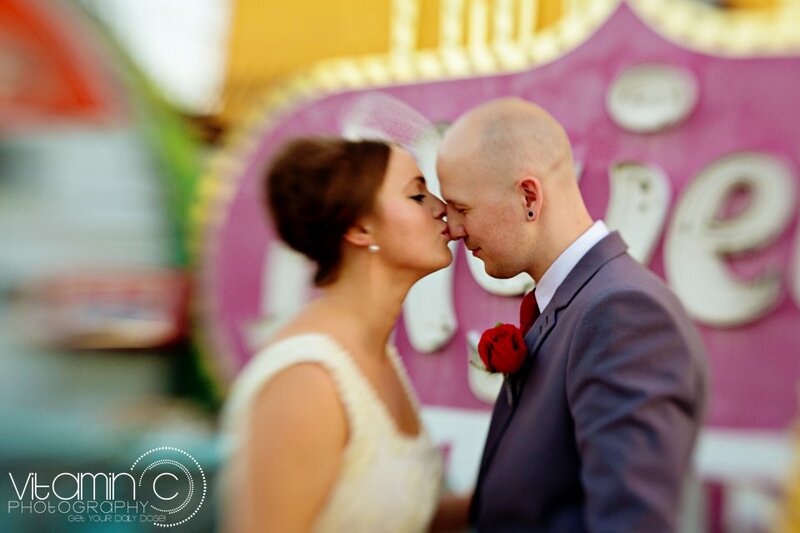 Lee and Jessica made the decision to be married at the Neon Museum, a Las Vegas museum also known as the neon graveyard. 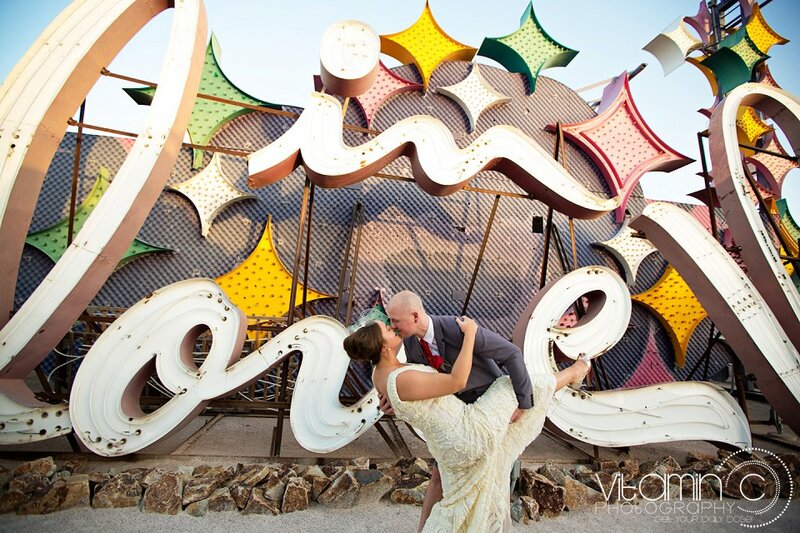 The Neon Museum is where all the historic giant neon signs from various hotels and casinos are sent after being decommissioned. 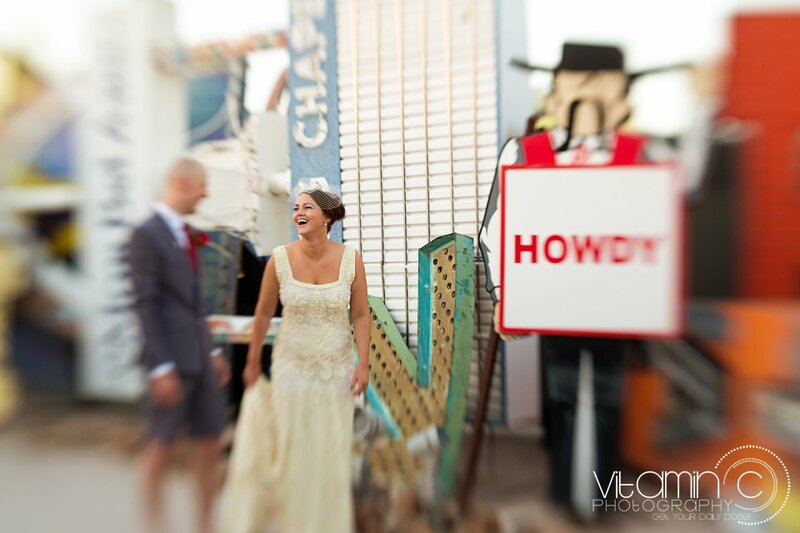 After their short and intimate ceremony, we had a blast shooting with all the different signage making for an interesting and fun scenery. 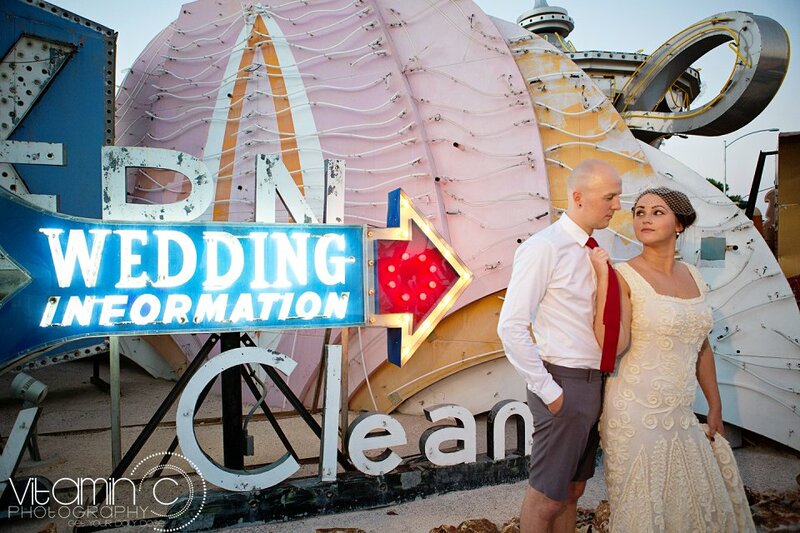 As the sun set we finished at the neon museum taking advantage of some of the recently restored to life signs giving Jess and Lee that true Vegas neon wedding feel. 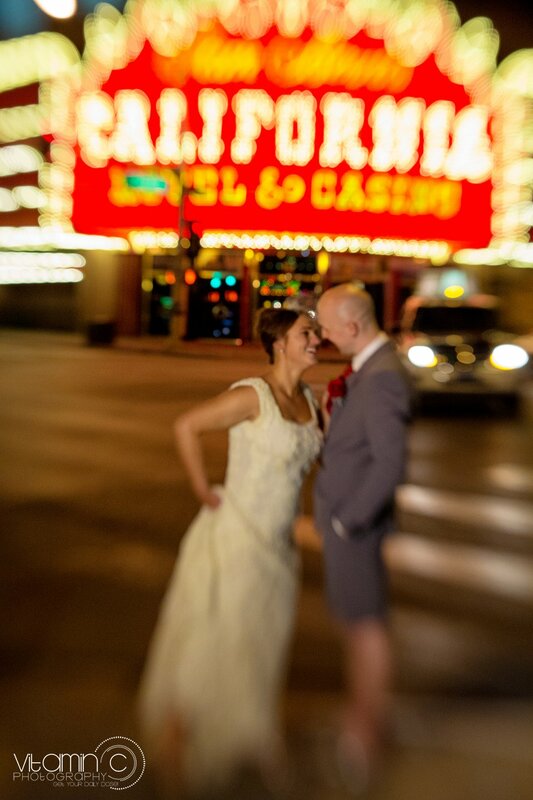 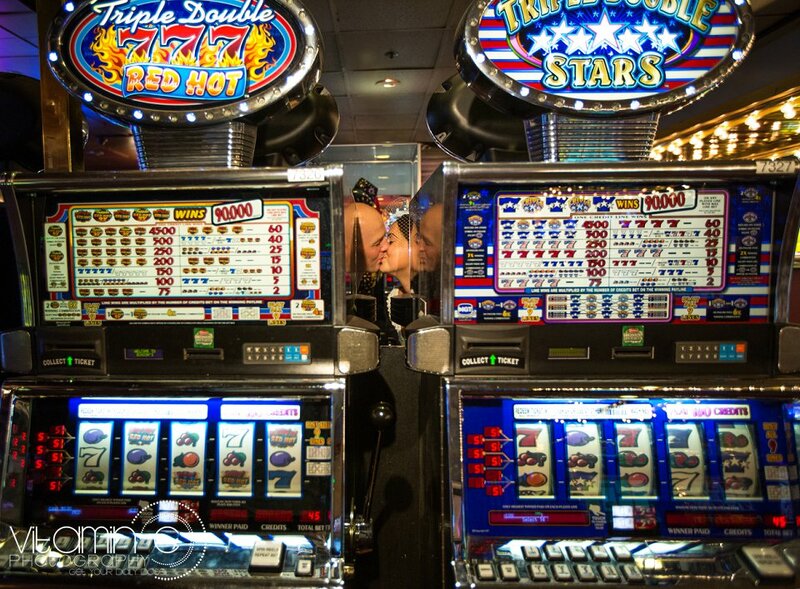 We then took a drive down to Fremont Streets Plaza casino to get some pictures of the newlywed couple celebrating their recent union. 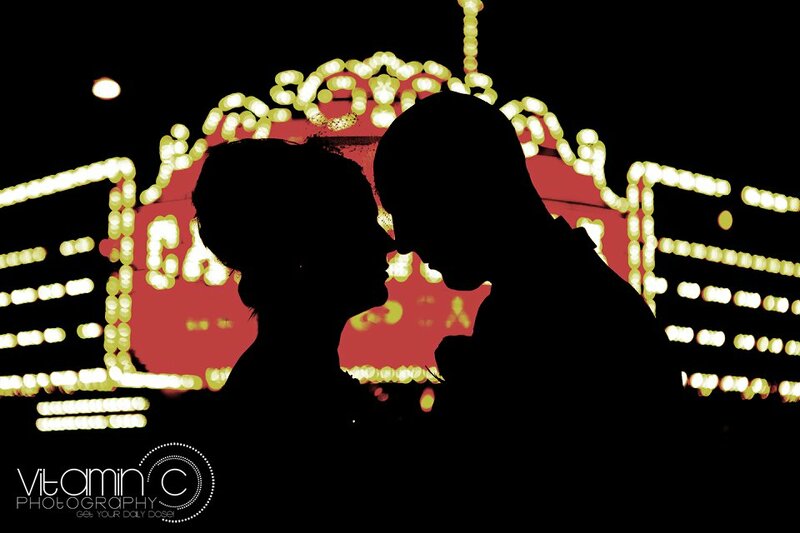 The hundreds of overhead lights of the Plaza lit Jessica’s vintage dress up so stunningly we just had to stop for that perfect photo. 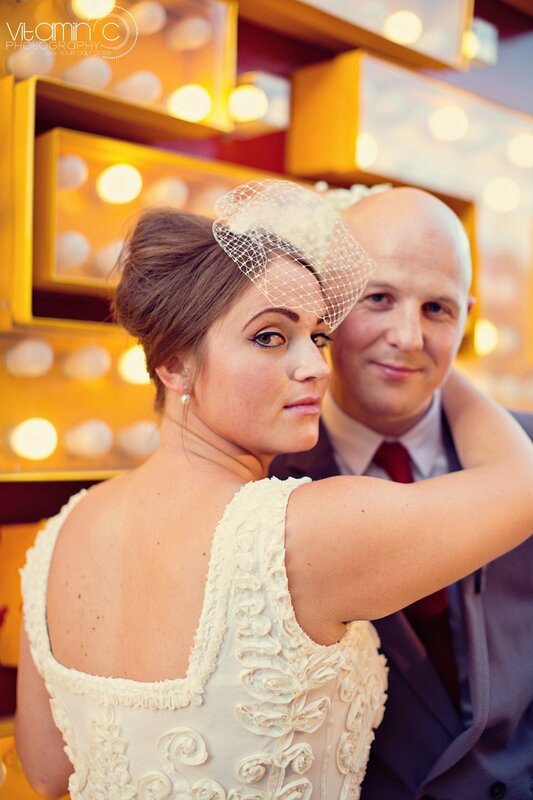 Thank you Lee and Jessica for sharing your amazing style with me!! 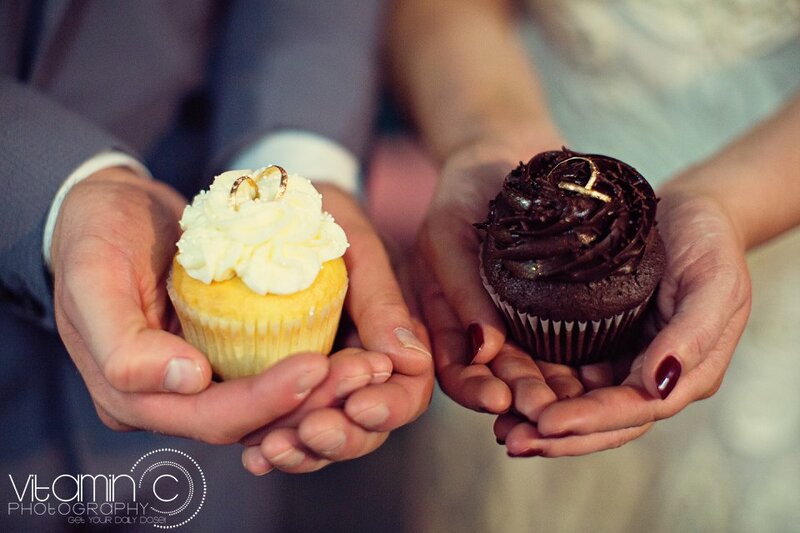 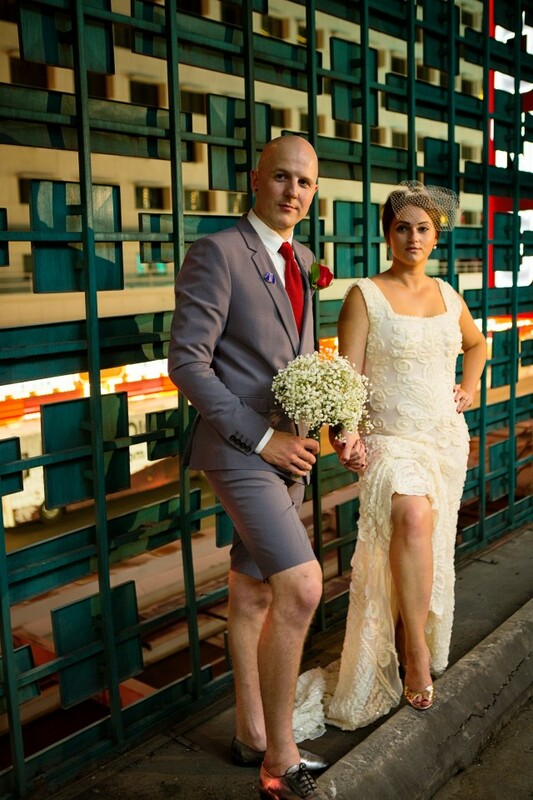 You’ve both set the bar a little higher for wedding fashion.